Last week we sat down with famed chef and restaurateur, José Andrés, to hear how the local food movement has impacted food related businesses like his own. Hear from him how the movement has evolved over the last eight years, and the role that the Obama Administration and USDA have had in supporting it. Last week, we were also pleased to announce an update of the Know Your Farmer, Know Your Food Initiative (KYF2) website. 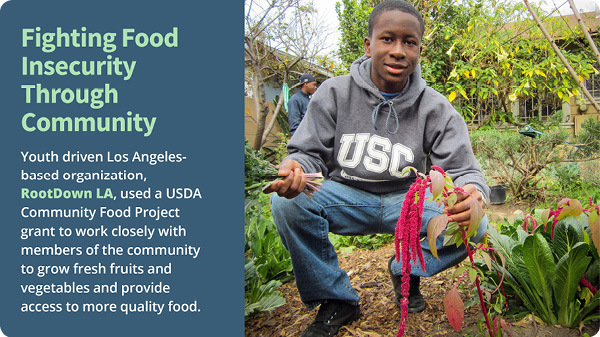 KYF2, launched in 2009, broke down bureaucratic silos to find existing USDA programs across the Department that could support the growing demand for local and regional food systems. An easy-to-use, one-stop shop for resources and information, the KYF2 website has become a place where interested producers can find federal support for local and regional food systems. 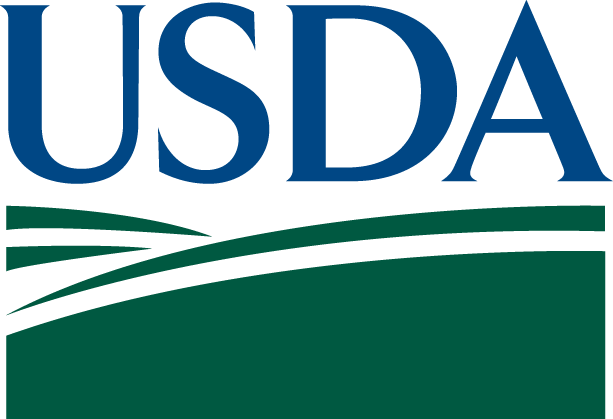 The site was redesigned to offer a more user-friendly experience that makes it easier to navigate the wealth of USDA and partner resources. We’ve also reorganized the information and gathered new content to optimize the user-experience. In short, the KYF2 website has become an even better hub of information on USDA’s local and regional food systems work. Read more about what’s new on our blog. Join us throughout the month of April as we take a look at how significant and transformative USDA investments have supported a growing movement to better connect producers with consumers and expand rural economic opportunities. 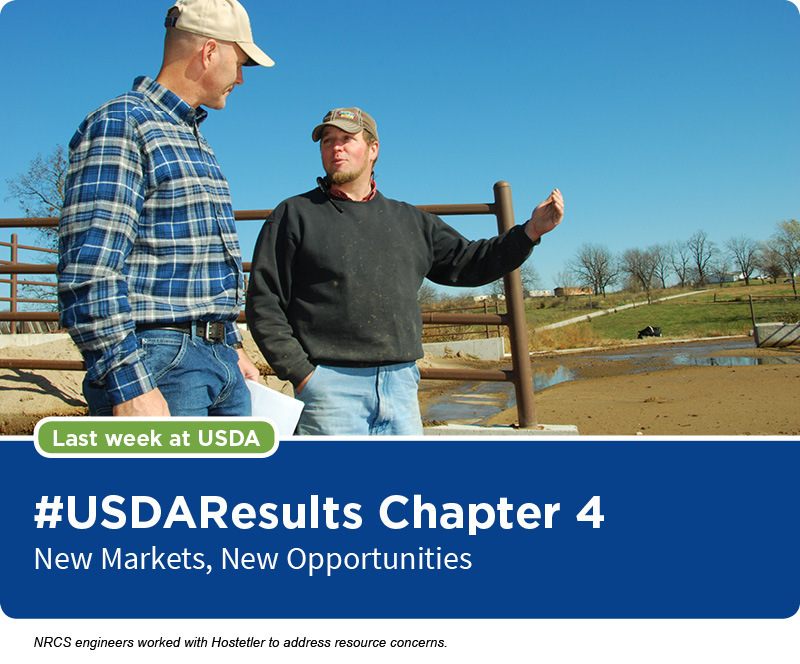 Follow along on usda.gov, on the USDA blog and by using #USDAResults, or catch up on Chapter IV on our Medium site. In April we’ll take a look at how USDA’s programs evolved to support a growing movement to better get to know our farmers, connecting producers with consumers and expanding rural economic opportunities to help more farmers stay on the farm. Last week, we rolled out a revamped Know Your Farmer, Know Your Food website. 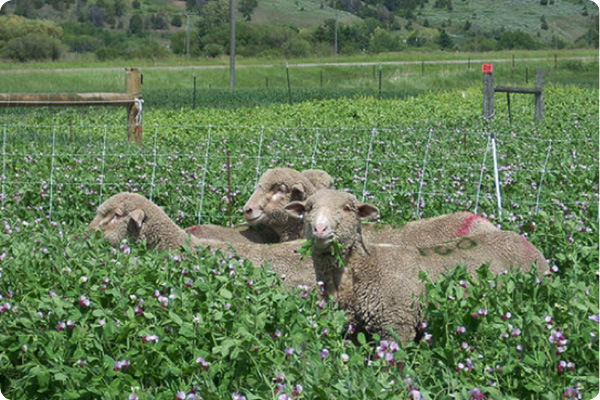 Sheep graze on cover crops in a Montana State University sustainable farming study. 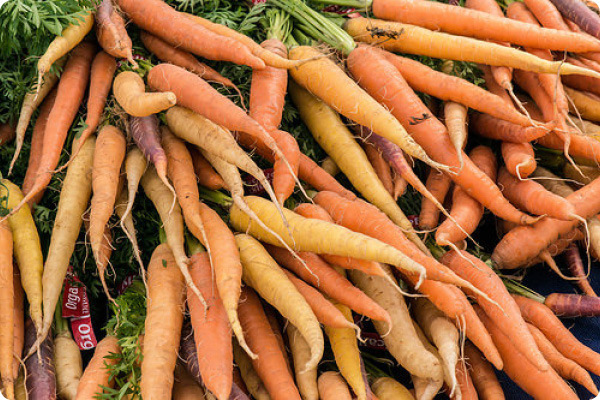 Compliance and enforcement activities are key to maintaining organic integrity, and the NOP continues to strengthen enforcement efforts to ensure a fair market for all organic products. 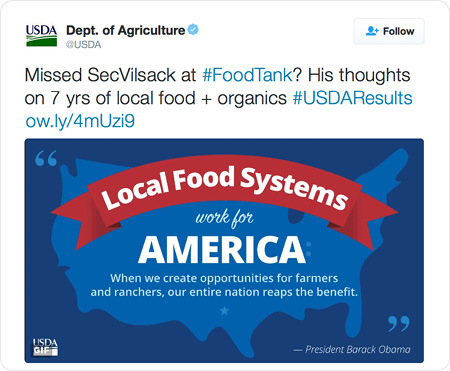 Since the beginning of April 2016, USDA has celebrated the success of small and mid-sized farmers in conjunction with local and regional food systems. 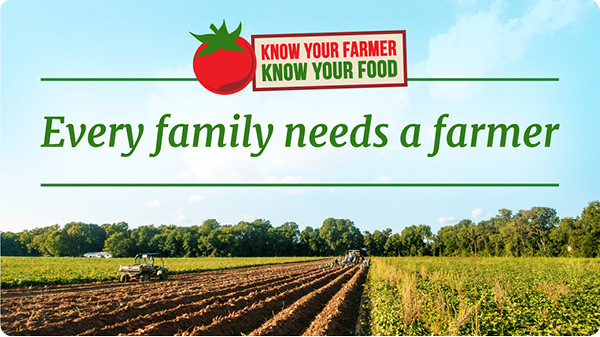 USDA officially kicked off Know Your Farmer, Know Your Food (KYF2) Month by not only announcing a number of new initiatives, but also highlighting the vast array of accomplishments achieved by our stakeholders, grantees, employees and more. Food security, having a reliable source of safe and nutritious food, is a cornerstone of good human health. In many poor countries around the world, achieving and maintaining food security is a challenge, but it’s a challenge that USDA’s National Institute of Food and Agriculture (NIFA) can help countries meet through its Center for International Programs (CIP). More and more farmers are entering the organic market. Just last year, the number of certified operations in the U.S. grew by almost 12 percent – more than double the growth rate of 2014. So how do farmers, ranchers, and food processors make the transition to organic? We talked to one farming family about their experience, learning how they used USDA programs to help with the transition process. The link between agriculture, science, and engineering is quite simple. Whether you live in a rural or urban setting, those three components work together to make a more sustainable environment. Thousands of students had the chance to learn about that and more, April 15-17 at the 4th Annual Science and Engineering Festival in Washington, DC. Muffled honking above draws wildlife painter Richard Clifton’s eyes to the sky. Flying overhead is a flock of nearly 30 snow geese preparing to land nearby in Clifton’s crop field in Milton, Delaware. In early March, this is a common scene due to his unique wetland ‘plant and flood’ restoration project that enhances wildlife habitat and production. 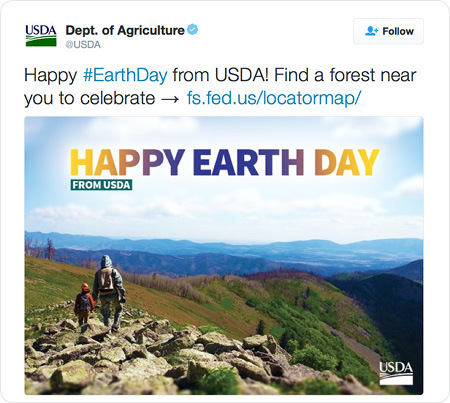 This Friday marks the forty-sixth observance of Earth Day, and our USDA Rural Development family is celebrating with a week of project dedications and groundbreakings across the nation – projects that have a direct and positive impact on the ecology and environment of our rural communities. A stunning landscape called Castle Valley, near Lake Tahoe, is the heart of one of the most heavily-used backcountry recreation areas in the northern Sierra Nevada region of California. The 400-plus acre valley is also a primary access point to the Pacific Crest National Scenic Trail that winds its way through the Sierra’s, providing picturesque vistas and some solitude. 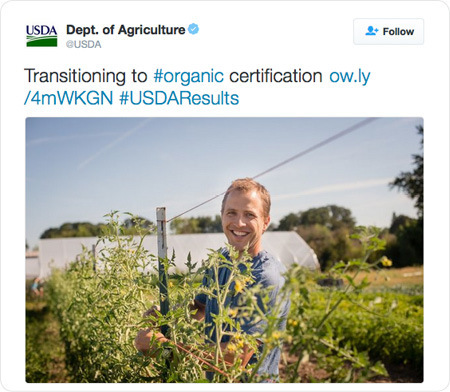 The mission of the National Organic Program (NOP) – part of USDA’s Agricultural Marketing Service – is to protect the integrity of the USDA organic seal. Consumers look for and trust the organic seal because they know that USDA stands behind the standards that it represents. Rwanda native Janine Ndagijimana, her husband Faustine and their children moved to Burlington, Vermont in 2007 after living in a refugee camp in Tanzania for 13 years. Now a U.S. citizen, she works closely with Ben Waterman, the New American Farmer Program coordinator at the University of Vermont Extension Service (UVM) Center for Sustainable Agriculture. 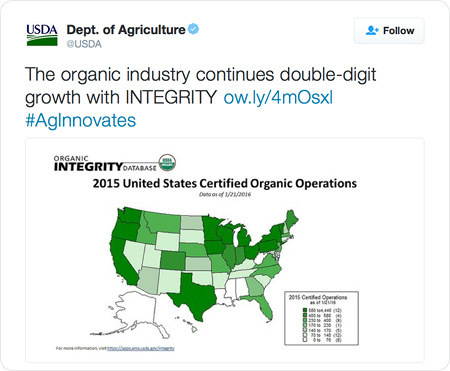 Earlier this month, my agency – the Agricultural Marketing Service (AMS) – released data showing that there are now more than 21,000 certified organic operations in the United States, and more than 31,000 around the world. These numbers represent an increase of almost 12 percent between 2014 and 2015, continuing the trend of rapid growth in the organic sector as consumer demand grows. Value Chain Coordinators - A Food L.I.N.C. Food Tank, in partnership with American University, is hosting the 2nd Annual Food Tank Summit in Washington, D.C. on April 20–21, 2016. This two-day event will feature more than 75 different speakers from the food and agriculture field. Researchers, farmers, chefs, policymakers, government officials, and students will come together for panels on topics including food waste, urban agriculture, family farmers, farm workers, and more. Food Tank recently had the opportunity to speak with Agriculture Secretary Tom Vilsack, who will be speaking at the summit. Cowgirl Creamery, a small food producer in Marin County, Calif., was elated when Whole Foods came calling to buy Cowgirl’s organic triple-cream cheese for 45 of its stores. After five years of selling shop to shop, the entrepreneurs behind the company finally had their first big order. Goals and initiatives to reduce food waste are gaining broader support in government and within industry, student leaders were told Saturday at the Food Waste and Hunger Summit held at the University of Arkansas at Fayetteville. Two years ago, Helen Chen attended a first-of-its-kind national gathering for college students interested in food recovery, with others from the University of Arkansas. By that time, UA's law school had established its Food Recovery Project. The informational effort helps groups understand how federal law encourages the gathering for reuse of food that would otherwise be thrown away. The hottest attraction at your hotel may be its farmers’ market. Properties around the country are increasingly hosting markets featuring local vendors. Most are open to the public, but a few, like the quarterly market at the Rosewood CordeValle in San Martin, Calif., are exclusively for hotel guests.